Ah, the third week in January in Minnesota, when you can always depend on it to be very, very cold. As always, there is way more music than I could possibly highlight this week, though I’ve got a few for you to consider, including visits by a giant of jazz and a pop star with more connections than Forest Gump. 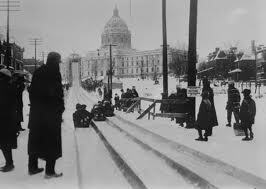 Winter Carnival activities, back when sub-zero temps lasted more than a few days. Wolverines Trio @ Hell’s Kitchen, Minneapolis. 6pm – 9pm (Free) The talented and versatile combination of Rick Carlson, piano; Keith Boyles, bass; and Jendeen Forberg, drums, keep you entertained with tasty licks and a firm foundation. Miguel Hurtado Quartet @ The Artists’ Quarter, Saint Paul. 9pm ($5) Miguel is the recent grad of Manhattan School of Music who’s returned to town and has been drumming with a variety of veterans and leading his own group. Emily Davis & Robert Bell @ Barbette, Minneapolis. 10pm (Free) Vocalist Davis is a fan of standards as well as newer sounds from the likes of Madeline Peyroux and Diana Krall. Guitarist Bell is busy around town in bands like the Twin City Hot Club and Southside Aces, and accompanying vocalists. Sounds like a swinging combination. Kenny Horst Birthday Bash @ The Artists’ Quarter, Saint Paul. 8pm ($10) Kenny is 70. Who knew? He’s such a dynamo on the drums, and does such a good job at managing the AQ that it’s hard to believe. He’s been a major presence in town since he first picked up the sticks many years ago, and has formed long-time musical partnerships with folks like Jack McDuff, Irv Williams, Billy Peterson, and Bobby Lyle. He’s also toured with Al Hirt and Mose Allison, and has a long-time friendship with Roy Haynes. No word on who will appear, and what stories will be told, but expect a plethora of Twin Cities jazz artists to celebrate Kenny and his contributions to the Twin Cities music scene. Baroque n’ Jazz @ Patrick’s Cabaret, Minneapolis. 8pm ($20 adults/$15 seniors/$5 students) Here’s an interesting presentation by the Bach Society of Minnesota. A quartet from the Bach Society, and a modern jazz trio are both performing. Baroque music from Paul Boehnke, harpsichord; Mary Burke, viola da gamba; Jin Kim, baroque violin; and Carrie Henneman Shaw, soprano. 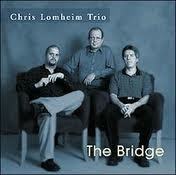 Framework, featuring Chris Olson, guitar; Chris Bates, bass; and Jay Epstein, drums, will provide the jazz. What an opportunity to compare and contrast styles of music. 24th Annual Century College Jazz Festival, w/Ed Calle @ Century College, White Bear Lake. 8pm Saturday, 3pm Sunday ($20) This time the 17-piece Century Jazz Ensemble has brought in Venezuelan-born saxophonist Ed Calle to play with them. Calle has operated out of Miami for the past 25 years, appearing on thousands of recordings, including grammy winning records by Sinatra, Arturo Sandoval, and Jon Secada, and adding his Latin/jazz sax to performances with Rhianna, Gloria Estefan, Julio Eglesias, and Bobby Caldwell, among others. Charmin & Shapira & Friends will perform at each event’s reception, from 6:45 – 7:45pm Saturday, and 1:45 – 2:45 Sunday. 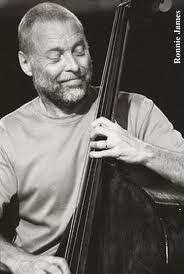 Dave Holland Quintet @ The Dakota, Minneapolis. 7pm ($45), 9pm ($35) Bassist Holland is one of the few players today who can rightfully be called a master of modern jazz. Starting in the 60s, when he played with Miles Davis on Davis’ electric projects, through stints with Anthony Braxton and Sam Rivers, and on to leading a variety of configurations of his own groups, Holland has been an exemplar of the curious, exploring jazz man. His outstanding quintet includes: Mark Turner, saxophones; Robin Eubanks, trombone; Steve Nelson, vibes, and Nate Smith, drums. Not to be missed. Jose James @ The Cedar Cultural Center, Minneapolis. 7:30pm ($20) Minneapolis-born James has been making quite the name for himself as a jazz singer, with a smooth baritone that sometimes brings to mind Kurt Elling and/or Bill Withers. Though he grew up with jazz in his household, he’s also a part of the hip-hop generation and uses hip-hop tools to broaden his palette, as on his latest album, No Beginning No End. DJ Brian Engel will warm up the crowd with his own blend of jazz, funk, and rare soul. Here’s James performing something from the new album on Letterman recently. Dean Magraw & Friends @ The Artists’ Quarter, Saint Paul. 9pm ($5) I’ve often spoken of the wizardry of guitarist Magraw in these missives. 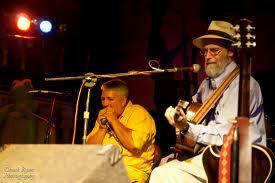 To say he’s versatile is an understatement, as he’s highly conversant in world music, Irish music, jazz, and blues. He’s played with many different artists in town, and it’s not known just who will show up. Even if it’s just Dean and a rhythm section, there will be music that’s both explosive and sublime. Papa John Kolstad & Hurricane Harold @ Merlin’s Rest, Minneapolis. 8pm (Tip Jar) It’s another one of Papa John’s acoustic blues nights, this time featuring harpmaster Harold Tremblay as the foil to John’s singing and guitar playing. Great atmosphere, decent food, good beverage selection. Bring an ID if you want an adult beverage – everybody gets carded. Rockin’ Pinecones @ The Eagles Club #34, Minneapolis. 8pm ($5) Get warmed up for Mardis Gras next month with the Cajun/Zydeco sounds of the Pinecones, led by uber-accordionist Dan Newton. Dee Miller Band @ Narrows Blues Saloon, Navarre. 8pm (No Cover) Over in the West metro area, blues fans get to hear the Duchess of the Blues belt it out. Lately, Jimmy “Prime Time” Smith has been adding his incisive guitar licks to mix. He’s a good match for Dee’s authoritative singing. Vicky Emerson & Mother Banjo dual CD Release Party @ The Dakota, Minneapolis. 8pm ($10) Emerson is an Americana artist with a gift for writing passionate, poetic lyrics, influenced, no doubt, by the fact that she grew up on a farm. Check out her website for examples of her talent. Mother Banjo’s new release is an Americana/gospel affair produced by Steve Kaul and showcasing her talented five piece band. The Senders @ Sherwood Lounge, 1418 White Bear Avenue, Saint Paul. 9pm Looking for Jump Blues and 50s R&B – the stuff that inspires you to swing dance? Look no further. The Senders have been at it for over 20 years, and still sound fresh. Joe & Vicki Price @ The Driftwood Char Bar, Minneapolis. 9pm (Tip Jar) Everybody’s favorite Iowa Blues Duo is back in town, bringing their stripped-down, original blues to South Minneapolis. Choro Borealis @ The Black Dog Coffee & Wine Bar, Saint Paul. 5pm – 7pm (Tip Jar) Before Bossa Nova, and before the Samba, Brazil had the Choro (pronounced SHOW-roo). Influenced by both Africa and Europe, this highly rhythmic music is still popular in Brzil and beyond. 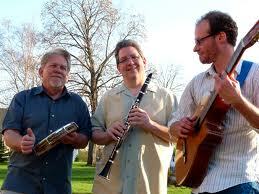 Choro Borealis is a trio of highly regarded musicians, all of whom have been active in the area for many years. Robert Everest plays 7-string guitar, vocals, and cavaquinho, Pat O’Keefe plays B-flat Clarinet, bass clarinet, and percussion, and Tim O’Keefe rounds out the group on mandolin, cavaquinho, and percussion. Malamanya EP Release Party @ Whiskey Junction, Minneapolis. 9pm (Free) The Cuban-Salsa dance band that could is releasing an EP and celebrating at the Junction, not exactly the place you’d expect, but it has a dance floor, lots of room, and a good selection of adult beverages. Peter Asher @ The Dakota, Minneapolis. 7pm ($40-$45) This is not your usual concert. It’s more of a memoir, and includes lots of story-telling. 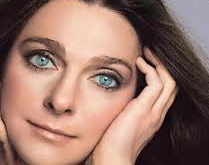 Asher‘s sister had a boyfriend who happened to be Paul McCartney, who wrote World without Love for Asher’s group ,Peter and Gordon. The rest is history. He owned an art gallery that was showing the work of Yoko Ono, and introduced her to his pal John. He’s been at the nexus of a rarified atmosphere of rock n’ roll stars, and has produced folks such as James Taylor, Linda Ronstadt, Diana Ross, Carole King, Bonnie Raitt,and 10,000 Maniacs. He’s written for movies and has been music director for a number of prestigious award shows. Asher will be telling his story in song and images. Prince has been listening to funky jazz from the 70s. And he likes Tower of Power. A lot. Billed as a Rehearsal/Audition, the second of six shows at the Dakota was a funk-filled, joyous affair, with Prince seeming to have as much fun as the sold-out crowd. The 11 o’clock show actually started at 10:55 with a six-piece horn section leading Prince through an very surprised audience. Once on stage, they segued from New Orleans second-line funk to a 70s sound, with various members of the band soloing throughout the next 20 minutes. The band also included Cassandra O’Neal playing a second set of keyboards, bassist Andrew Grouche, and the auditioning drummer, Ronald Brumer. 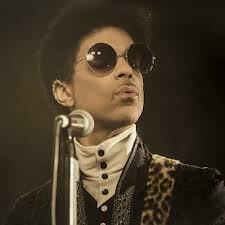 Prince was mostly at the electronic keyboards while directing the band and parceling out solos. At one point the horn players huddled to figure out some fills. The way Prince directed the horns, their sound, and their synchronized movements displayed an appreciation for Tower of Power. Prince’s keyboard playing often recalled the Fender Rhodes sound of the 70s. When he moved from the keyboards to guitar, his playing and sound both had very jazzy overtones. After the first song, the horns left the stage, leaving Prince at keyboards, where he proceeded to use two chords to establish a medium funk tempo anchored by hard-hitting drums and bass. The tension built until Prince let loose with a distorted keyboard solo with the same form and texture as some of his guitar solos. Add a white sweater with a hoodie, and you pretty much have his look from the show. The third song started out with the bass and drums sounding like a freight train rumbling through the gates of hell. With Prince on guitar, it turned into a heavy metal rocker before devolving into a soulful piano break from O’Neal. Then Prince returned to the keyboards and brought out the tenor sax player, who sounded very hard-boppish. Prince delightedly jumped up and down in his chair during the solo. When drummer Brumer took another solo, Prince looked at the audience, shook his head in appreciation, and grinned. Prince was clearly enjoying himself. Though he didn’t sing, or even speak into the mike, he often turned a beaming face to the audience and made short, off-mike remarks. It was reported that this was an audition for a Brumer, and judging by Prince’s reaction, as well as the audience, the drummer passed with flying colors. Kudos as well to the sound crew, for pristine, though not overly loud sound in the relatively small room. Fourth up was another funk number, with Prince often “chicken scratching” ala Jimmy Nolan of James Brown’s band. Once again he turned to the audience, smiled, and indicated applause for the drummer laying down a heavy solo. The “cold,” precise ending seemed to belie the “rehearsal” aspect of the shows billing. The horns came back out for a medley of tunes from Curtis Mayfield, Aretha Franklin, and a blues, featuring impressive (as always) fretwork from Prince. Then he counted off, “One, Two, Three, Four” and the band tore into James Browns “I Don’t Want Nobody to Give Me Nothing (Open Up the Door, I’ll Get It Myself).” At this point the crowd leapt to their feet with a roar and danced in the aisles. After a blistering solo from the baritone sax, Prince used the mike for the only time to chant the song’s title and urge the audience to sing along. Finally, he said “Give the drummer some” to end the song with another drum solo from Brumer. After a thank you and goodnight, everyone walked off the stage. Neither the crowd nor Prince was finished, however, and while the bass/drum track of his new song (Rock and Roll Love Affair) played, the tenor sax player came out and played on top of the track. The rest of the horns and Prince soon joined him. At one point the horn section performed a Time-like bit of choreography, complete with little jump. Another exit left the crowd still standing and screaming at 12:10. After a bit, Prince once again came out, waved to everyone, and went backstage, leaving the audience in a giddy state of amazement. It’s quite a week here in the Twin Cities. The announcement that Prince will be at the 300-seat Dakota for three nights has caused quite a stir and sold out in 45 minutes. However, there’s more than enough music in town to satisfy many tastes, including a couple of visiting blues artists on Friday, some jazz that ranges from traditional to contemporary to free, a few festival-type events and Jose Feliciano on Tuesday. And it’s only the third week of the year! Graydon Peterson Quartet @ The Artists’ Quarter, Saint Paul. 9pm ($5) After years of being known as a versatile bass player, called upon to work in a variety of both area and touring groups, Peterson is stepping up as a leader, performing his own very modern compositions. Other members of the group are Adam Meckler, trumpet; Vinnie Rose, guitar; and Adrian Suarez, drums. Check out this video. Youngsters and Veterans @ The Artists’ Quarter, Saint Paul. Suihkonen, Hunton, & Wildenauer, 7pm (Free) This is part of the Twin Cities Jazz Society’s Young Artists Series. Joe Suihkonen, trumpet; Emerson Hunton, drums; and Sam Wildenauer, bass; are recent graduates of South High. Suihkonen and Hunton are studying at Oberlin Conservatory, while Wildenauer is taking a twist on the old fashioned route – playing with veterans, but veterans in the free jazz orbit in town. There will be originals as well as some band favorites from Ornette Coleman and others. 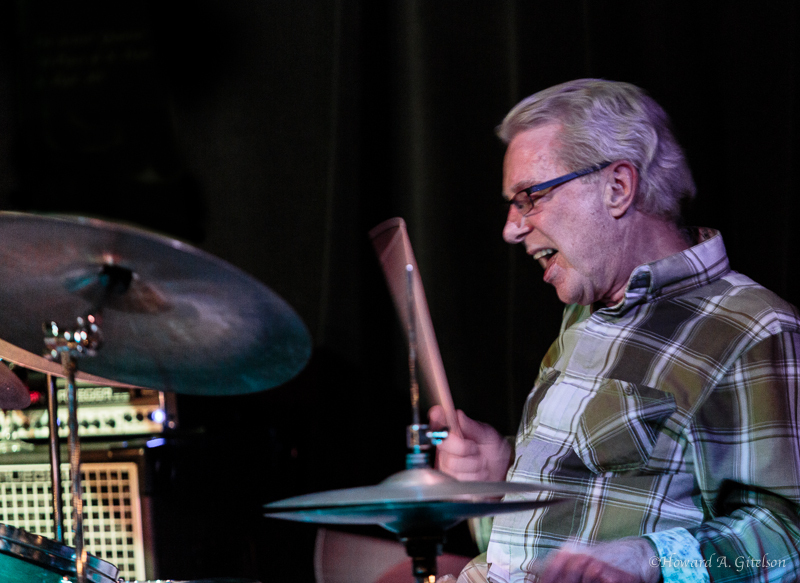 Followed by the Brian Grivna Quartet at 9pm ($5) Saxophonist Grivna played with Buddy Rich for two years, appearing on a number of albums and television shows. It’s always a treat to hear him play. St Peter Stompers @ The Red Stag, Minneapolis. 10pm (Free) A late night excursion into New Orleans-style jazz. That is, the kind of music where the lead horn solos while other horns play around the solo and each other. In print it may sound like it’s noisy and confusing, but in reality, this polyphonic approach provides a happy sound. The Stompers include: Chuck DeVore, leader and Tenor Saxophone; Joy Judge, Trombone; Jason Berg, Drums; Eddie Sekula, Stand-Up Bass; Dave Wilkening, Guitar; and Milo Grika, Cornet. Dorothy Doring & Phil Mattson CD Release Party @ The Artists’ Quarter, Saint Paul. 9pm ($10) Vocalist Doring and pianist Mattson have created a delightful, charming album entitled “Compositions of Duke Ellington and Billy Strayhorn.” You can catch my January 5th radio interview with the two of them and a couple of tracks from the CD here. It starts at about 60 or 65 minutes into the show. Lila Ammons Quintet @ Honey, Minneapolis. 7pm – 9pm ($8) Here’s an early start to your Saturday evening. 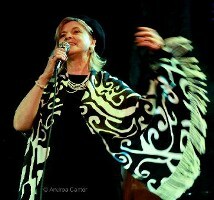 Though classically trained, Ammons spends much of her time touring Europe and singing jazz, and jazz-oriented blues. You can read an interview I did with her here. Snowblind @ The Artists’ Quarter, Saint Paul. 9pm ($10) This is a collective of six fine young musicians who write original music and take their cues from Blue Note recordings as well as Monk, and Ellington. The group consists of Scott Agster, trombone; Shihad Sen, sax; Adam Rosmiller, trumpet, Graydon Peterson, bass; and Reid Kennedy, drums. You’ll be tapping your feet and bopping your head to their groovalicious sounds. Embezzler and Merciless Ghost @ The Icehouse, Minneapolis. 9:30pm ($5) JT Bates continues to program adventurous jazz for the Monday night Jazz Implosion series. Tonight it’s Embezzler (JT, drums; Adam Linz, bass; Paul Metzger, guitar) performing free-ish, though accessible music, while Merciless Ghost (George Cartwright, sax; Josh Granowski, bass; Davu Seru, drums) will create music that is in turns emotional and beautiful. Here is a video of Merciless Ghost. String Theory @ 318 Cafe, Excelsior. 8pm – 10pm ($6) There CD, “What’s the Matter With Captain Gravitone?” is a genre-crossing excursion full of original delights. On it, the trio uses two guitars, a banjo, and vocals, String Theory evokes 70s folk -rock, a bit of jazz, and blues, while using a variety of rhythms. They’re also inclined to play music by Miles Davis, Django Rheinhardt, and the Zombies. It’s a small room, so you may want to make reservations (952-401-7902). Daddy Mack @ Wilebski’s, Saint Paul. 6pm ($?) Here’s a chance to hear down-home, back o’ the alley blues from Memphis. Each member of Daddy Mack’s quartet has played in the legendary Fieldstones. Daddy Mack’s guitar strikes and slashes, while his voice rumbles with authority. Watch his band playing the Great Recession Blues. Lucky Peterson @ Famous Dave’s, Uptown Minneapolis. 9pm ($8) What? 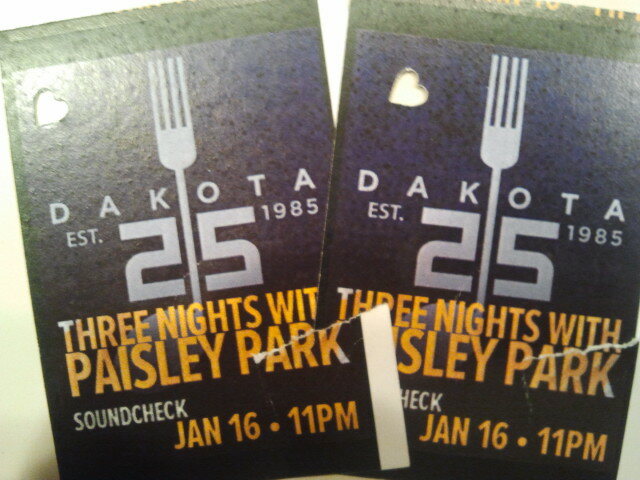 Two visiting bluesers on one night? Thankfully, the timing is right so fans get get to hear both. Peterson has quite the pedigree. He was five years old when Willie Dixon took a liking to him and had him playing on The Tonight Show and Ed Sullivan. As a teen he played French horn in his school’s orchestra, and then started playing keyboards and guitar for Etta James, Little Milton, and Bobby Blue Bland. Since then, he’s recorded fourteen albums as a leader, one of which, 2010’s You Can Always Turn Around, won Best Blues Album from Grand Prix du Disque and was nominated for Best Acoustic Album in the Blues Music Awards. Cash Only: Tribute to the Man in Black @ The Cabooze, Minneapolis. 9pm ($15/$12 Advance) A tribute to the one country artist that almost everyone likes, but then, he was more than country. It’ll be a honky tonkin, rockin’ evening of Cash’s music, performed by Cash’s friend and torch carrier Sherwin Linton, as well as Trailer Trash, Erik Koskinen, the White Iron Band, and more. Harriet Brewing Second Anniversary Bash @ Nuevo Rodeo, Minneapolis. 6pm – 1AM ($14 advance/$20 door) The folks at Harriet Brewing are doing a good job of booking area talent, and tonight they’re going all out to celebrate their anniversary. Postina kicks things off at 7pm, followed by the Brass Kings at 8:45, and Malamanya at 10:30. Across the street in the brewery’s Tap Room, there is free music, with Daddy Squeeze, Kris Koza and others starting at 3pm. STAX Tribute @ Pepito’s Parkway Theater, Minneapolis. 7pm ($12) A nine-piece horn-driven band and three vocalists recreate the soulful sounds that emanated from STAX records during the 60s and 70s. Expect hits like Soul Man, In the Midnight Hour, Green Onions, Walkin’ the Dog, the Theme from Shaft, Respect Yourself, and much, much more. Road to Memphis Fundraiser @ Whiskey Junction, Minneapolis. 3pm ($10 Suggested Donation) The folks at the Minnesota Blues Society are once again working to bring some of the area’s finest blues musicians to a wider audience – that of the International Blues Challenge in Memphis, where festival organizers from around the world gather, not to mention blues fans from around the world. To get you to support this effort, Good Time Willy (w/John Franken), Papa John Kolstad, Hurricane Harold, and Javier and the Innocent Sons will perform. 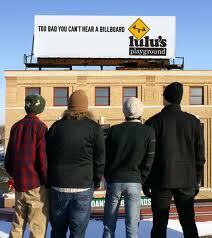 This year’s Minnesota entrants – Crankshaft & the Gear Grinders and Kildahl and Vonderharr will also perform. A definite treat for blues lovers. 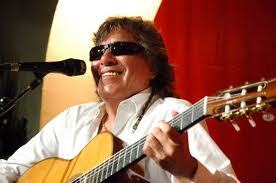 Jose Feliciano @ The Dakota, Minneapolis. 7pm ($45 – $70), 9pm ($35 – $60) If all you know of Feliciano is his version of Light My Fire (which is pretty awesome), then you’re missing a lot. He’s an 8 time Grammy winner and often hailed as one of the world’s greatest guitar player. He’s played with the London Philharmonic, the Vienna Symphony, and Carlos Santana, and has 45 Gold albums to his credit. The “Dancing Congress” of Vienna. Forget the tired old references to resolutions. Simply go out and support live music. It has the power to elevate us, inspire us, bring us together as a community. Come to think of it, maybe Congress needs to have some soul-satisfying concerts that all would attend. Can you imagine them singing along with Garnet Rogers, dancing to Jack Klatt, or bopping to Spiral Visions? (All noted below) But I digress. There’s plenty of good music in town, and here’s a few ideas. Sue Oatts & Tanner Taylor @ Jazz Central, Minneapolis. 8pm – 10pm (Donation) While Sue’s singing seems oh so natural, that’s the beauty of it. 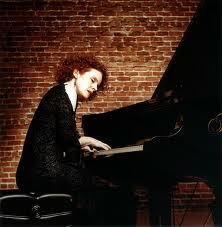 Her phrasing, rhythmic sense, and sensitivity takes singing miles beyond what many of us could attempt. Tanner’s piano playing is a wonder, and perfect when it comes to accompanying vocalists. Dean Harrington and the Mill City Hot Club @ The Aster Cafe, Minneapolis. 9pm ($5) Guitarist Harrington brings the gypsy jazz of Django Reinhardt to the cozy little bar/cafe with a big tea list and skyline views. Koplant No @ The Icehouse, Minneapolis. 11pm ($5) This midwest quartet started out in Iowa City with a vision of combing jazz and electronics. Others have tried such an experiment, but to my mind, no one has succeeded quite so well, as those who saw them at last summer’s Twin Cities Jazz Festival can attest. Atmospheric electronics serve as a bed and accents for the improvisations of Joel Vanderhyden, tenor sax; Brian Lewis Smith, trumpet, keys, and drum programming; Drew Morton, bass, synths, and french horn; and Rob Banier, drums. They’ll have a new CD available. Spiral Visions @ The Artists’ Quarter, Saint Paul. 9pm ($12) Dave Milne, sax; Dave Hagedorn, vibes; Phil Aaron, piano; Tom Lewis, bass; and Phil Hey, drums. Five outstanding musicians pay homage to the Bobby Hutcherson/Harold Land Quintet of the late 60s. Expect some soulful hard bop. JelloSlave @ Aster Cafe, Minneapolis. 9pm ($8) With a repertoire that ranges from JS Bach to Led Zeppelin and Aster Piazolla, and rhythms that incorporate African, Caribbean, and Middle Eastern influences, Michelle Kinney and Jacqueline Ultan, cellos; Gary Waryan, tablas; and Greg Schutte, drums, create compelling improvisational music that defies easy categorization..
Rossum when he lectured a MacPhail – a few hairstyles ago. The Kelly Rossum/Jeremy Walker Quartet @ Dakota Late Night, Minneapolis. 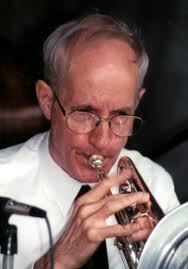 11pm ($5) We haven’t heard adventurous trumpeter Rossum for a couple of years. He’s now Jazz Director at Christopher Newport University in Virginia, where he shares his modern approach to the trumpet with students. His past projects here in town included the electric jazz/funk outfit Electropolis, as well as a few terrific CDs. Pianist Walker is gathering many kudos for his compositions and his warm playing. Should be an evening of stellar original jazz. Bill Evans’ New Orleans Jazz Band @ Bennett’s Chop & Railhouse, 1305 West 7th, Saint Paul. 7pm (no cover) On the second Tuesday of every month, trombonist Bill Evans brings six of his musical compadres to Bennett’s to celebrate the polyphonic, syncopated traditional jazz of New Orleans. They’ll be filling the small neighborhood restaurant with a joyous sound. Tonight, KBEM will be recording the group for future broadcast. White Iron Band Unplugged on KFAI and @ The 331 Club, Minneapolis. 5pm (90’s .3 FM & 106.7 FM) and 7pm (331 Club – Tip Jar) This six-piece band that started in Ely uses blues, country, and roots influences to sing about everyday people – though the everyday people are more honky-tonk than Sly Stone, that’s for sure. They’re going acoustic for this date, which starts with an appearance on Harold Tremblay’s House Party on KFAI, and moves over to the 331 Club. Nikki & the Rue-Mates @ The Driftwood Char Bar, Minneapolis. 9pm (No cover) NIkki’s been playing a bit more electric guitar lately, which makes her folk-rock compositions all the more interesting. She and the guys (Rich Rue, Resonator and slide; Jon Larson, bass; Jimmy T, drums) are at the Driftwood the first Thursday of every month. Here’s a video of them sans drummer. Josh Granowski & Patrick Harrison @ Barbette, Minneapolis. 10pm (no cover) Bassist Granowski and button accordionist Harrison create late night music featuring their own arrangements of songs from the movies. Jack Klatt & the Cat Swingers @ Harriet Brewing Tap Room, Minneapolis. 7pm (Free) Jackson Buck of KFAI moves his popular Freewheelin’ First Friday series to an early evening spot, which is better for folks of a certain age. To kick things off, Jackson has a trio of rootsy players: Tom Feldman will start at 7pm, followed by Dave Babb w/Sneaky Pete Bauer at 8:15 and Jack Klatt and the Cat Swingers at 9:30pm. Garnet Rogers @ Celtic Junction, Saint Paul. 8pm ($18) Canadian-born Rogers started singing with his older brother Stan during the 70s. Garnet’s deep baritone, together with his ability to write highly descriptive and literate lyrics have made him a favorite among fans of folk music. Papa John Kolstad & the Hot Club of East Lake Street @ Merlin’s Rest, Minneapolis. 8:30pm – Midnight (Tip Jar) First: If you want to drink adult beverages in this neighborhood bar, be sure to bring an ID, no matter what your age. Second: You have a large selection of Scotch, Irish Whiskey, and beer to choose from, as well as some classic British Pub Food. And Last, but certainly not least: Papa John and the Hot Club will have your feet tapping, your grin showing, and even a few folks dancing as they play acoustic swing that includes standards and gypsy jazz. Nellie McKay @ the Dakota, Minneapolis. 7pm ($35) Read some reviews of singer/pianist/ukelele player McKay and a number of same words pop up all the time: Quirky, idiosyncratic, charming, disarming, and the like. Onstage it seems as if whatever her brilliant mind thinks comes out of her mouth without a filter, whether she’s espousing feminism in her own sly way, or commenting on world affairs. The result is always a winning performance. Here’s a link to a video showcasing two sides of her singing. 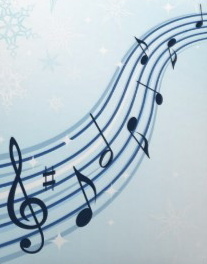 You are currently browsing the rhythm and grooves blog archives for January, 2013.